Drake made good on his promise to roll up on Drake University but he did it in the middle of the night when almost all the students were sleeping. 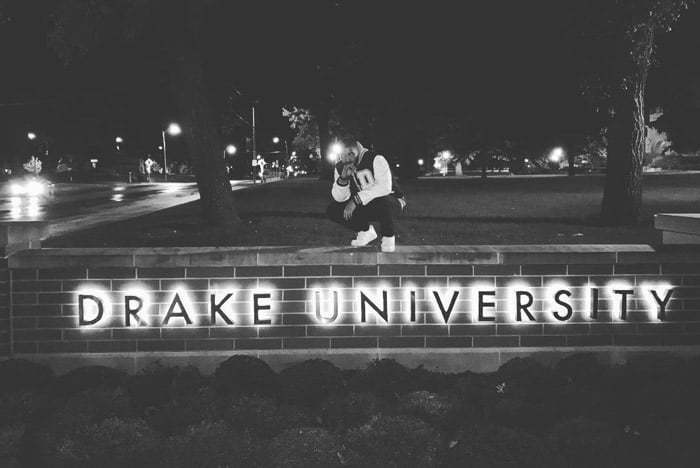 On Monday, Drake commented on a post on Instagram that he was going to roll up at the school and he did just that on Tuesday night in Des Moines, Iowa while wearing a Drake University jacket gifted to him. The OVO rapper also performed in the same jacket. Drake has postponed three of his upcoming Summer Sixteen tour dates due to a lingering ankle injury he sustained on tour last month.